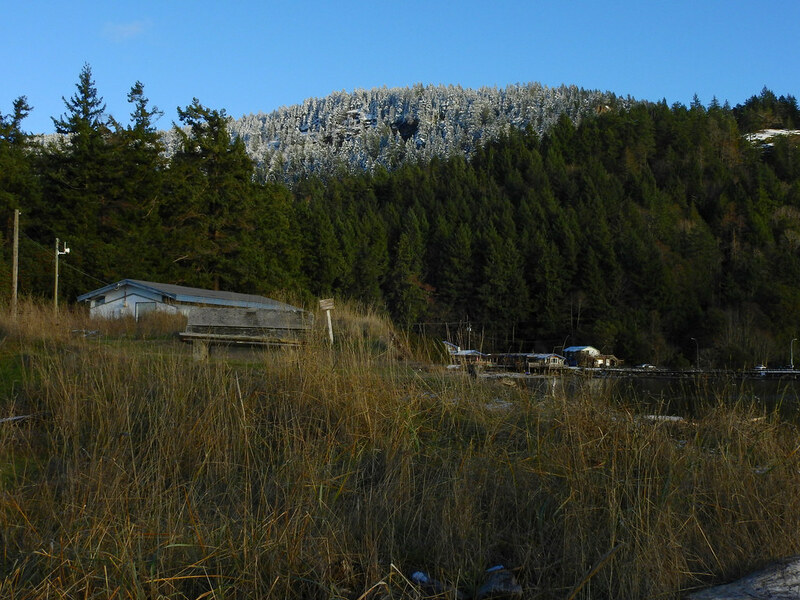 To see what happened in this territory last season, & to find links to previous seasons, click here. 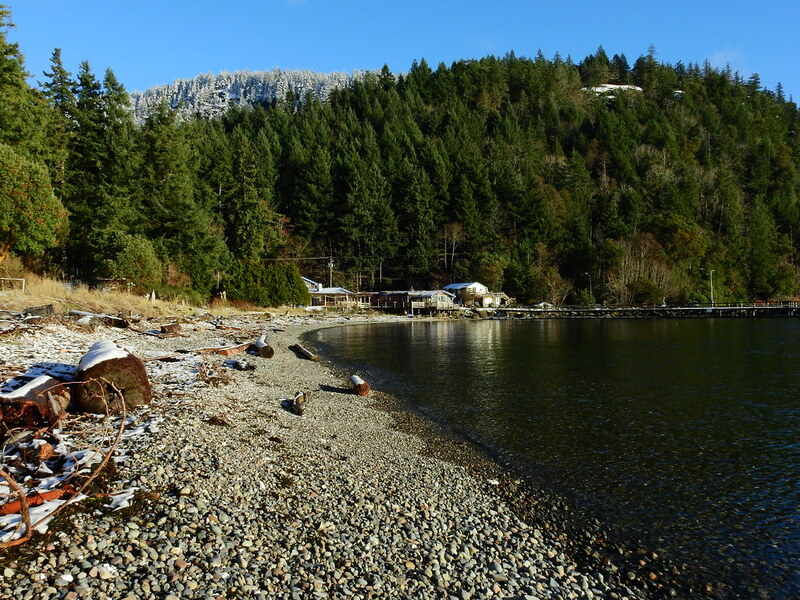 This was a sunny cold day & i thought we might get some Sun at Shingle Spit! 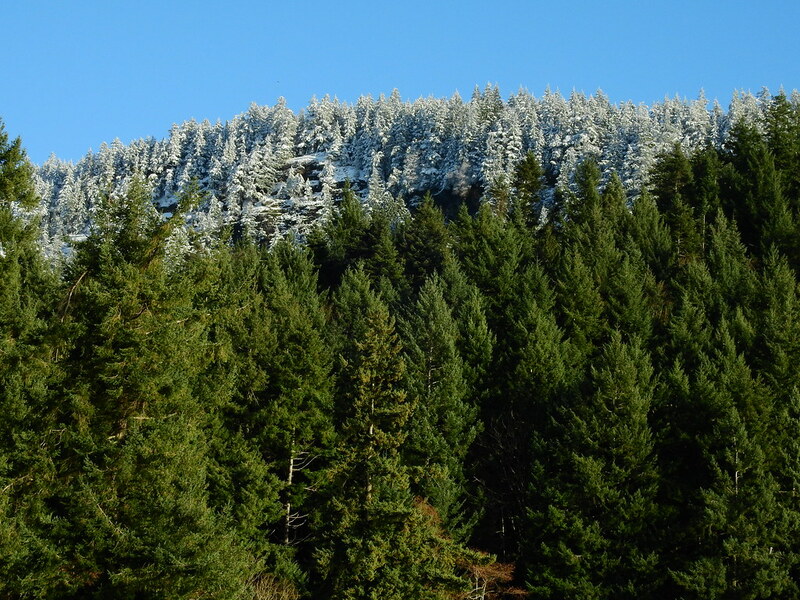 On our way down there, i noticed all the fabulous fresh white snow on the Trees on Mount Geoffrey, something fairly rare around here. It looked spectacular, so i was hoping to be able to get a foto of that from the Spit. i was really pleased to see a Purple Martin back from migration already! Not sure i really would have noticed what was going on here, except for wren*s fotos she got at Phipps Point as well, of Gulls harvesting Arbutus berries! 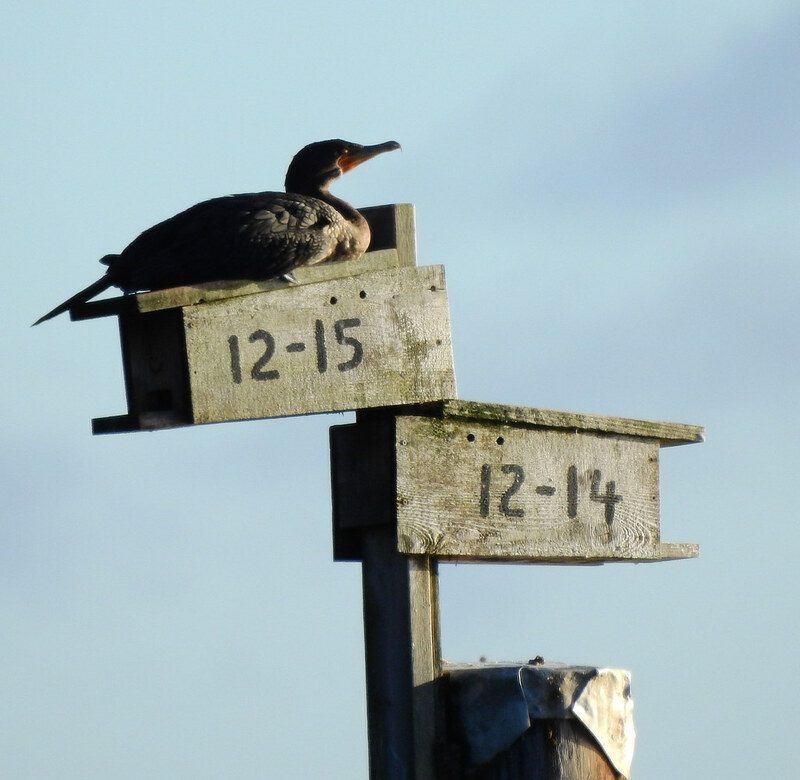 I was watching the gull near this nest today... And of course I had a good look at the nest while I was there. Definitely some new branches added. Crows were all around the nest, I was wondering what was going on. And surprise! A really quick changeover of eagles. After which the crows dispersed. Were they hoping to steal eggs while the eagles were switching? I can't see anyone in this photo but I'm pretty sure it was a switch I saw. 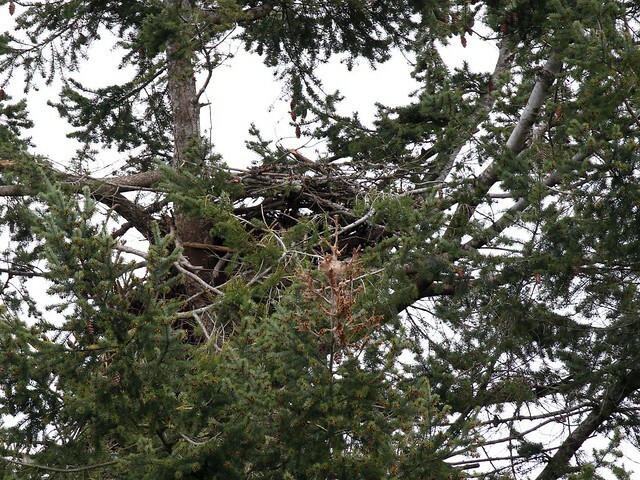 The second eagle is perched on a tree nearby after what looked like a brief fishing expedition. 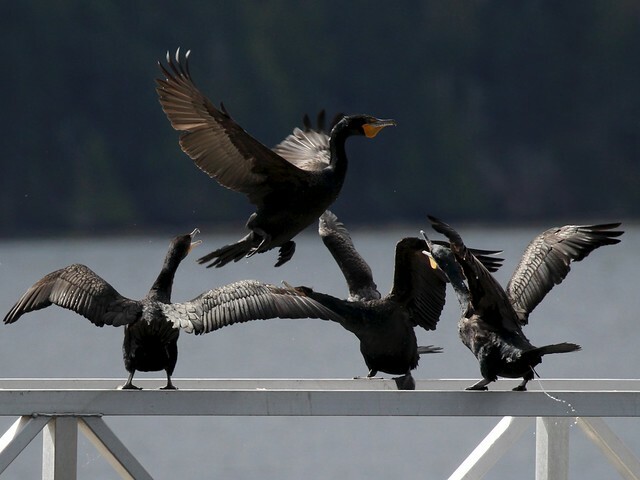 While I was there, I said hi to the Double-crested Cormorants on the dock. They're just starting to grow their crests... Some have black ones, some white ones. One of them has leg bands! looks like KE8? These ones were having a discussion about seating arrangements, resulting in one of them having to move over. 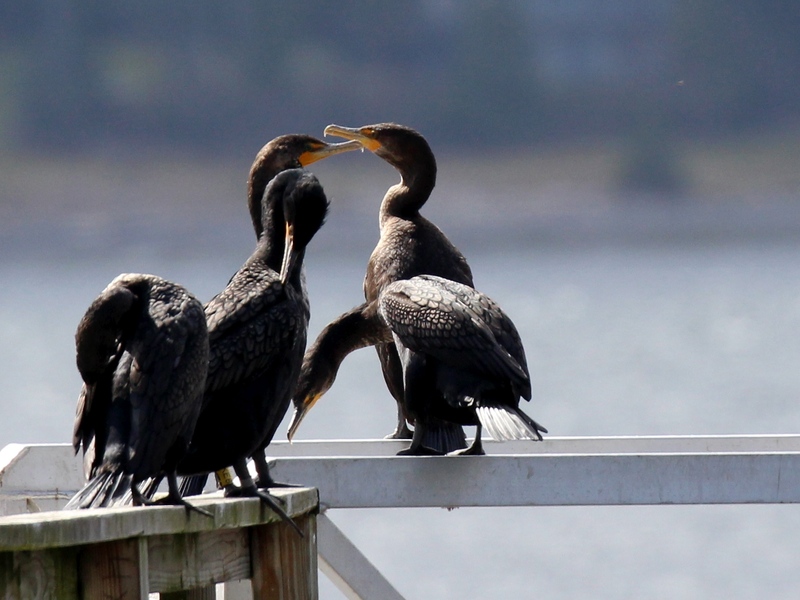 Two of them are showing expanded gular (throat) pouches... Like a miniature version of a pelican's. First time I see this. Very nice to be able to see something for the first time, wren.